Is Microsoft Among the Best Penny Stocks in History? Home / Is Microsoft Among the Best Penny Stocks in History? In your search for the best penny stocks to buy now it’s a good idea to look back at stocks that have made it big, rising up from pennies to trading on major exchanges and worth billions of dollars. An MSN Money article showcases 10 penny stocks that went from trading at pennies per share, in many cases on the brink of bankruptcy, to trading at prices many times the penny stock price. What can be learned from the look back and how can this help you in selecting the best penny stock to buy now? If you believe the promoters, you’d expect Microsoft along with many other high flying technology companies to be on the list. The table below lists the ten companies, the year in which they reached their lowest stock price, an approximation the percent return from the low, and the circumstances surrounding the companies low point and subsequent rise. Pier 1 Imports (PIR) 2009 18000+% Housing market collapse and reversal lead to V shape stock pattern. 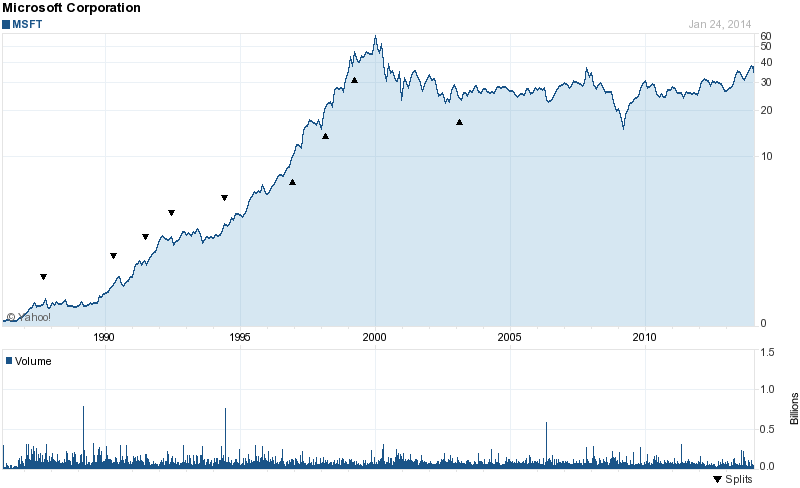 Concur Technologies (CNQR) 2001 21000+% Resurrected from a dotcom collapse in 2001. True Religion (TRLG) 2004 3700+% A penny stock scam turned into a leading apparel maker. General Growth Properties (GGP) 2009 3000% Housing market collapse forced GGP into bankruptcy, improving economy and underlying real estate assets lead to shares climbing. American Axle (AXL) 2009 2700% Near collapse of American auto industry hurt sales of this auto component manufacturer. BJ’s Restaurant (BJRI) 1997 3700% Nothing fancy, just steady growth. Quality Systems (QSII) 1990s 4000+% Company’s healthcare IT solutions caught on after 2 decades as a penny stock it reached great highs. Sirona Dental (SIRO) 2000 2500+% Good growth in dental equipment. Medifast (MED) 2000 18000+% Company matured overtime and increased sales in the weight loss industry. Monster Beverage (MNST) 1995 6800+% Energy drink sales energized stock growth, formerly known as Hansen’s and was a low priced stock for decades. These are some massive gains! Picking just one of these best penny stocks can make up for many losing stock picks. Microsoft and other popular technology companies are not on this list. These stocks come from a wide variety of industries and as a group they can’t be neatly categorized as companies from one industry. The lows seem to occur during economic recessions and therefore buying stock during recessions may be a way to maximize gains. Bankruptcy was a real concern for 3 out of the 10 stocks with these former solid companies falling on hard times and then regained their former glory. One company was labeled as a penny stock scam and then went on to have a best selling retail brand. Five of the companies seemed to finally get their act together and produce a good selling product but only after years or decades of mediocrity. Several of the companies languished under $1 for many years, so all this hype about jumping in before it’s too late looks like hype! What is not mentioned in the article is all the penny stocks that are still struggling, have gone out of business, or are just shell companies – nothing more than a stock symbol for trading. Diversification is important. Do you really have the patience to wait ten years for a best penny stock pick to pay off? If you put all your money in one company the payoff may never come. Is Microsoft One of the Best Penny Stocks in History? Here is the reality, penny stock promoters will want you to think Microsoft started out as a penny stock and their meteoric rise is proof that humungous gains can be made by investing early in the best penny stocks. These hucksters will show you a Microsoft stock chart on Yahoo! Finance and provide the quotes dating back to 1986 when the company had its IPO. If you just look at the Yahoo Finance chart you may be fooled to believe Microsoft traded for less than ten cents a share in 1986 and for many years traded at less than $5.00 per share. However, nothing is further from the truth. Microsoft’s stock underwent many stock splits as the share price appreciated. 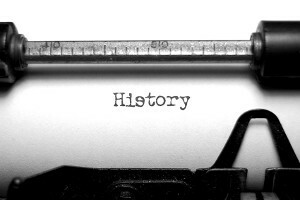 The historical stock prices have to take into account the current stock price in the $30s along with the numerous stock splits. For the record, Microsoft debuted on the NASDAQ in March of 1986 and closed at $28 after the first day of trading. The lowest the stock price has ever closed at was around $15 in 2009. Get Split History is a very useful tool in debunking penny stock myths and discovering when and how many stocks splits have occurred. In the case of Microsoft there were nine stock splits and if you had purchased one share on the day of the 1986 IPO, you now have 288 shares today. You can also use Yahoo quotes and select Splits under the Events tab when looking at a detailed chart set to the max number of years. This will graphically display when the splits occurred with a triangle representing a split. Hopefully you will come away from reading this article realizing that almost all penny stocks do not make it from obscurity to a high priced momentum stock trading on the NASDAQ overnight. Some of the best penny stocks highlighted struggled for decades to gain market share, generate revenues and provide earnings. Three of the stories involved companies that were able to turn their business operations around just in time to save themselves from going out of business permanently. However, looking for penny stocks to buy in companies under bankruptcy protection is not a good idea. There are many more failures than success stories when looking for stocks in the realm of bankruptcy. Furthermore, don’t believe promoters and scam artists pointing to companies like Microsoft as examples of the best penny stocks to buy. Taking advise from people like this will sure to make them richer. Instead develop your own research criteria and trading strategy to find the best penny stocks to buy now. Awesome Penny Stocks: The Biggest Pump and Dump Scheme?